Hyundai Motor India Ltd (HMIL), India’s leading car manufacturer today introduced Special Edition of Hyundai Grand i10, commemorating 20 years of its Foundation in India. Winner of Indian Car of the Year (ICOTY) award in 2014 Grand i10 has become part of over 308,000 Happy Indian families offering a complete package from style to performance. Grand i10 has been a trendsetter & India’s most loved hatchback winning many awards including the most coveted Indian Car of the Year 2014. Introduction of Grand i10 special edition will further enhance the value proposition of the product and aims to achieve the highest customer satisfaction. 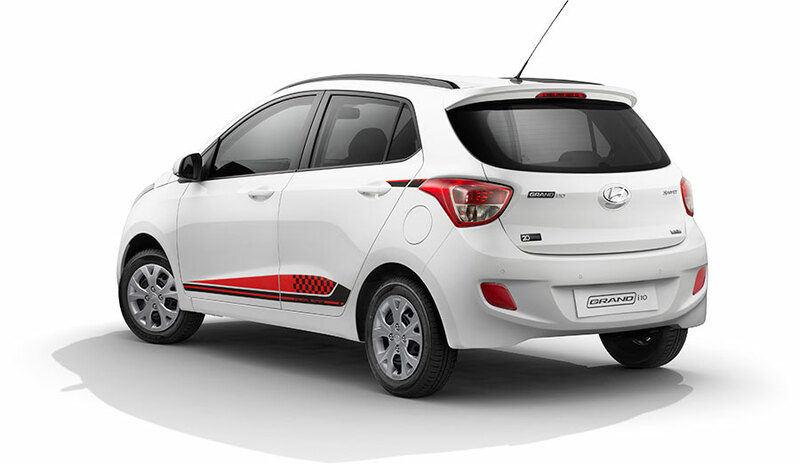 The Grand i10 special edition will feature Rear Spoiler, Stylish Body Graphics and B-Pillar blackout on the exterior for enhanced sporty looks. The interiors will include 6.2 inch Touch Screen Audio Video system and Red & Black interiors for refreshed & premium feel. The special edition will also come with‘20th Anniversary Special Edition’ emblem to celebrate the success & togetherness. It will be available in Sports Trim with both petrol and diesel variants in pure white color option. 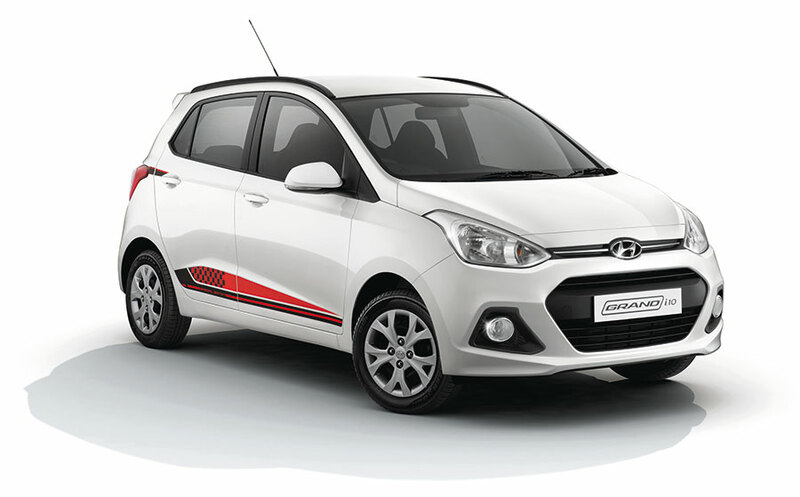 Let us know your opinion on new Hyundai Grand i10 Special edition by commenting below. Get Hyundai Grand i10 for Test Drive! Provide your details so that we can arrange a test drive of Hyundai Grand i10 for you at your city!